You'd think after a steak lunch at Glowbal, I'd have no more room for eats. Oh c'mon. You don't know me very well then! Truthfully, I was full from lunch; but I really wanted to try out PanDa Fresh Bakery. Since I was only a skip and a hop away from its location on Pacific and Drake, it was all that more enticing. Funny thing is that I missed it on several passes through the intersection. 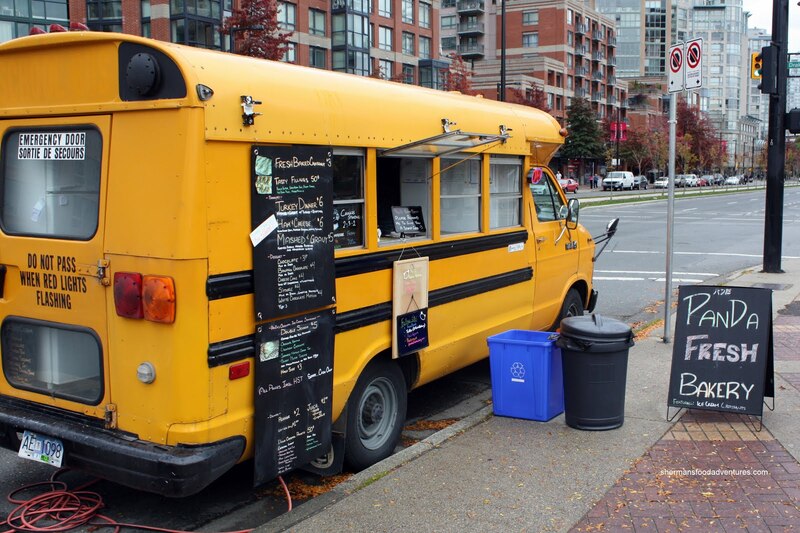 Sure, it's a food cart; but I wasn't aware that it was an old converted school bus parked on the corner. The signage is both modest and unassuming. Mind you, we almost didn't make it there because an A-hole driving a green Explorer almost ran us over at th e intersection. He intentionally tried to beat us to the corner and after turning abruptly almost lost control. Note to driver, there is something called karma... Anyways, our mood immediately changed from shock to happiness as we perused the menu. Yup, food equals joy! Whipping Girl decided on a dessert with the Sesame Ice Cream Croissant. First and foremost, the croissant is served warm and flaky. A real nice contrast to the ice cream, which incidentally was a bit icy. It did taste good though with a black sesame nuttiness. For me, I was considering dessert, until I spotted the Mac 'n Cheese Croissant... Oh yeah. Rich, cheesy and buttery, the mac fit perfectly in the crunchy croissant. Each crispy bite yielded a heart-stopping real cheddar cheesiness with the crunchy; yet not that buttery croissant. So wrong; yet so right. I was full. Didn't matter, I kept eating it. I didn't get to try their other items such as the complete turkey dinner croissant (???). However, from the items we did sample, it was a nice treat. Interesting how your clone is visiting the same places as you. 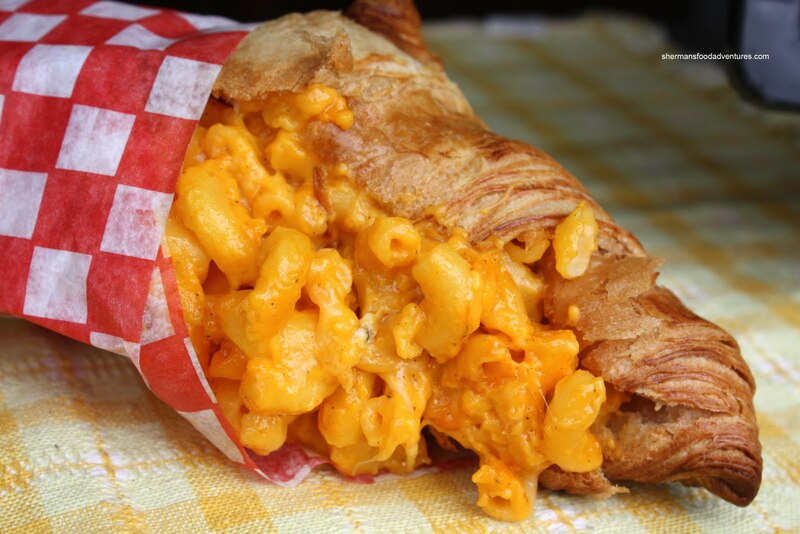 The mac'n'cheese croissant. I... I have no words. It's beautiful. I think my arteries just died a little bit, though. 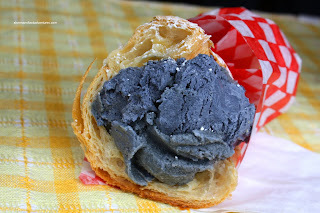 I haven't tried the ice cream croissants yet (but will next time), but even the simple additions like red bean to the croissants made for a good snack! Tony, that croissant was money, my heart didn't like it so much though. Victoria, red bean eh? I must try!